It happens quickly. A train barrels across an open terrain, speeding in comparison to the stillness it slices through. The quiet landscape is instantly transformed. But for the muted passengers safely aboard, the only sign of momentum is a steady rhythm underfoot as the car swings gently back and forth. 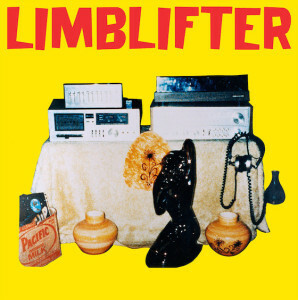 This is how Pacific Milk, the newest record from Limblifter, announces its arrival. It catches you unaware, with a magnetic attraction that begs many questions and answers none. For those unfamiliar or those uninformed, the roots of this Vancouver band are deep and diverse – a decade after their last release, their 4th full-length studio album offers no explanation, and takes no time to pause and let everyone else catch up. The pace is set first. Evenly but with haste, the flow set by Ryan Dahle’s guitar fluctuates while remaining constant, leaving deliberation to shiver clearly in the air long after the notes stop shaking. Like ice cream melting off a cone on a hot summer afternoon, his careful lyrics drip down the sides of speculation and drop onto bare knees, leaving a sticky sweet mess to be cleaned up later. Entrenched in this, washed out conclusions are bleached with sustained responsibility, supported by the stabilizing energy of grounded sincerity. Inferring speculation without taking a breath, responsive drums roll and rebound in answer, and underneath it all electric keyboard anthems penetrate to stab the pattern apart. Glazed with urgently repeated bass riffs that seesaw in and out, the cadence alternates based on perspective and orientation. Soothing and familiar, the songs are pacifying but far from conventional. They run crooked like melted wax, sounding like missing someone you never really knew. At the end of the convoy, a boxcar door is thrown wide open – homogeneity prevails but is hidden in the shadows. Riding the violent lurches, it is easy to hear the deafening rattle of the wheels on the nearby track. Riotously, the setting sun madly ignites the transient view. The warm glow savagely cast from the horizon is contradicted by the cool wind rushing past like a fugitive, moving closer to the pulse in an attempt to feel the tempo, consciously overtaking and developing into the beat.